Goop has just posted its Valentine’s Day gift guide. 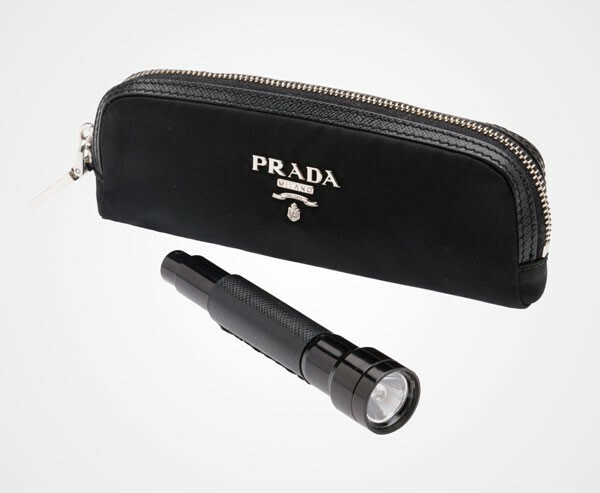 Did you know that Prada makes a flashlight? 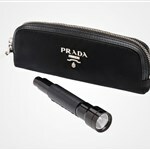 I don’t need a $260 flashlight. But the case it comes in is really cute and the perfect size for my e-cigs and vaping accessories. What I really want to talk about though is the pair of jeans she was wearing the other day in LA. And you will probably yell at me over this. But it’s the New Year. And, as mentioned in the open, we are supposed to avoid conflict right now so as to not turn away bad luck. So open your mind to these jeans. They’re amazing. Imagine how comfortable they are. Right now I’m wearing skinny jeans and they’re so tight around my calves today because I’m bloated from the wine and cheese we had last night. This would not be a problem with G’s jeans. And they’re cut in such a way that it can also operate aesthetically like a long skirt. Long skirts are totally my jam right now. Like these jeans, they work with almost any shoe. G’s got on booties here but if it were me, underneath that bomber, which is also really cute, I would have gone with oxfords. Yes? Or f-ck off, you hate it? G, by the way, is a Rat. Rats are one of the four luckiest signs in the Chinese zodiac during the Year of the Rooster. And G is a 1972 Rat, predicted to be the luckiest of all Rats this year. Basically, according to the feng shui masters, if she’s not your fave, you could be hating her harder than ever over the next 12 months. Once again, if you would like to revisit my ma’s readings for all the signs, I’ve collected them all together at Flare – click here to review.